string of people waiting in line for this Fest winner. Okay, here is one festival in New Orleans that you definitely DO NOT want to miss. (It all sounds so delicious – I can hardly contain myself while writing this blog.) Take note of the date right now: The 11th Annual Oak Street Po’Boy Festival will be on Sunday, November 11th, 2018 from 10:00 am to 7:00 pm. 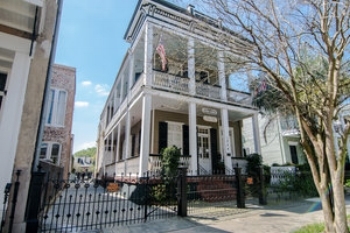 This festival is held in the Oak Street business corridor located in the neighborhood of Carrollton and features some of the finest restaurants and musicians in NOLA. Trust me, you won’t be alone. In the past, 50,000 sandwich-lovers have come to Riverbend in November to sample Po’Boys. I HEAR YA – BUT HOW MANY VARIATIONS? Would you believe that there are 50 different variations of this classic sandwich at this festival? You’ll find food, music and brews – all on Oak Street. It doesn’t get much better than this. Po’Boy Fest wristbands are required for the purchase of Po’Boys. Wristbands cost $5.00 and can be bought from any food vendor. In order to buy a sandwich you must purchase a wristband first (this money helps keep entry to the Festival FREE for everyone). No outside food or beverage is allowed. Do not bring drinks. Instead, buy from the official Po’Boy Bars. C’mon, this is only fair because this Po’Boy Festival receives no public funding. Pets are welcome and costumes are encouraged. I think this is a nice touch. Why should Fido stay home while you’re out having fun? To keep things simple, bring cash and change – no $100 bills. There are ATMs available but who wants to waste time standing on a bank line when you can be on a food line and thinking about something delicious up ahead. OKAY, NAME SOME PO’BOYS SO I KNOW WHAT TO EXPECT. There’s the traditional Po’Boys with fried shrimp and cochon de lait (roasted pork) as well as several versions of debris (beef in gravy) and some truly inventive ones such as: The Bananas Foster Po’Boy and The Sashimi Po’Boy. This is what life is all about -- having fun and trying something totally new. To get you started we found a list of 25 of the BEST AND STRANGEST sandwiches at the festival. 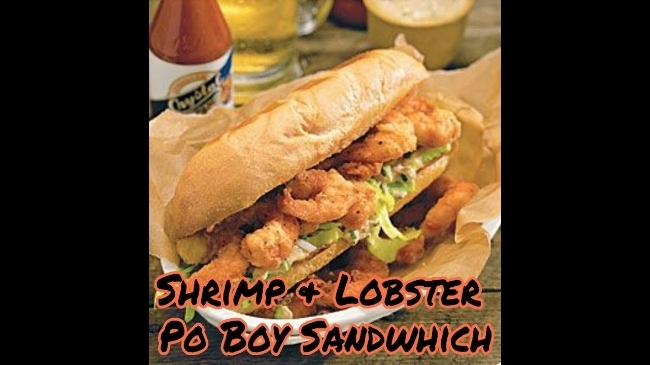 It starts with the very popular Lobster Po’Boy that we mentioned at the beginning of this blog and ends with a number called The RayRay Po’Boy (a combo of fried chicken breast, Chisesi ham and Swiss cheese). Frankly, I think it sounds delicious. 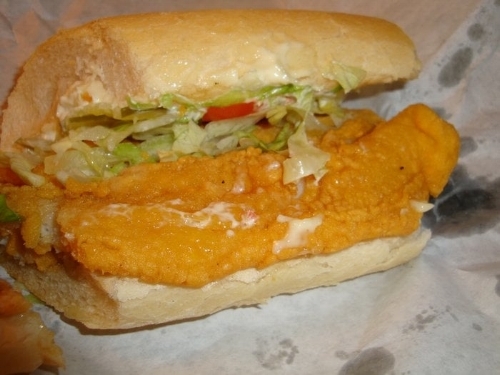 CLICK HERE to read the entire list of 25 Po’Boys. CLICK HERE to read our blog about The New Orleans Film Festival.